In the next several weeks, millions of high school seniors will apply to colleges and universities across the nation. If you are one of them—and if you come from a low-income family or are a minority student—I urge you not to look at higher education rankings systems that emphasize reputation, acceptance rates, and alumni giving. Instead, keep your eye on rankings that rely upon a different set of numbers: Namely, graduation and retention rates. That’s because the current trends in enrolling and graduating low-income and minority students threaten social justice in higher education. American Council on Education statistics show that college enrollment among low-income students has fallen to 46 percent, 20 percent below the national average. While African-American and Latino/a enrollment is rising somewhat, there are troubling gaps in outcomes for these students. According to the U.S. Department of Education, among students enrolled in four-year institutions only 41 percent of African-American students and 53 percent of Latino/a students ultimately attain bachelor’s degrees. That’s compared to at least 70 percent of Asian counterparts, and 63 percent of Caucasians. To see these contrasts in detail, just take a look at the chart accompanying this text. It’s based on data from the U.S. Department of Education, the Education Trust, and University of California Riverside, where I’m chancellor. While some institutions focus on efforts to ensure low-income and minority students en masse get their degrees and move into rewarding careers, they’re probably not listed among the private colleges and universities that dominate the top 10 lists in the U.S. News & World Report, Wall Street Journal, or Forbes rankings. 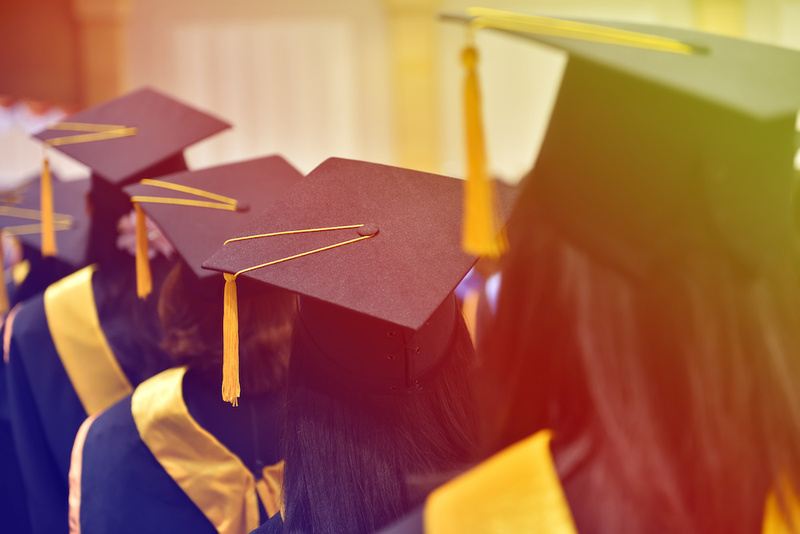 The nation’s public higher education institutions, less frequently cited at the top of these rankings, enroll more than 70 percent of all four-year college students—including a preponderance of low-income and minority students. So applicants and their parents should look to other higher education resources to gauge more relevant measures. For example, the U.S. Department of Education’s College Scorecard allows you to compare tuition and living costs, graduation rates, and income after graduation. What is the diversity picture? Will you be 1 in 100 on your campus, or 1 in 5? Statistics show having a critical mass of diversity in the student population makes a difference. If you have a group of people like you on campus, you are more likely to succeed. Does the institution offer first-year programs such as learning communities, which help create small cohorts of freshmen studying particular courses? Experience has shown that these programs help students keep up with studies and get off to a good start toward graduation. At larger institutions, learning communities can help keep the collegiate experience from being overwhelming for freshmen. 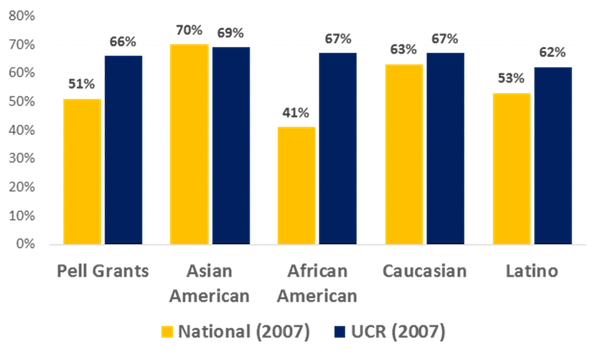 Thanks to learning communities, we’ve been able to recently increase our freshmen retention rates at UC Riverside by more than six percent, with particular success among women, Hispanic, Asian-American, first-generation, and low-income students. Low-income and minority students should always ask about these types of programs and support systems. When it comes to enrolling, retaining, and graduating students, these are the efforts that make the difference. Investment in a college degree transforms society, and improves an individual’s chances of getting ahead. University of California research shows that, within five years of graduation, UC students who qualified for federal Pell Grant aid have an annual income of approximately $50,000—more than double the combined salaries of their parents. So start your college search not with a default to high-profile rankings systems, but with an earnest look at the measures that will guarantee your success in college and beyond. *Lead photo courtesy of Adobe Stock. Interior graphs courtesy of Kim A. Wilcox.